card side. Conversely, in receiver mode, the card receives SMPTE-2022 packets via 10G Ethernet interface and recovers video raw data for SDI output or via PCIe interface. 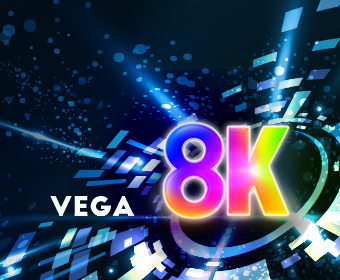 With an easy-to-use software development kit (SDK), VEGA-3000 is an ideal solution for system integrators to implement versatile video over IP functions in a variety of applications including cloud video acquisition, video over IP bridge, and networked broadcast studio installations.